"Telegraph Creek is basically the capital of our Tahltan territory and that's where we're all from." 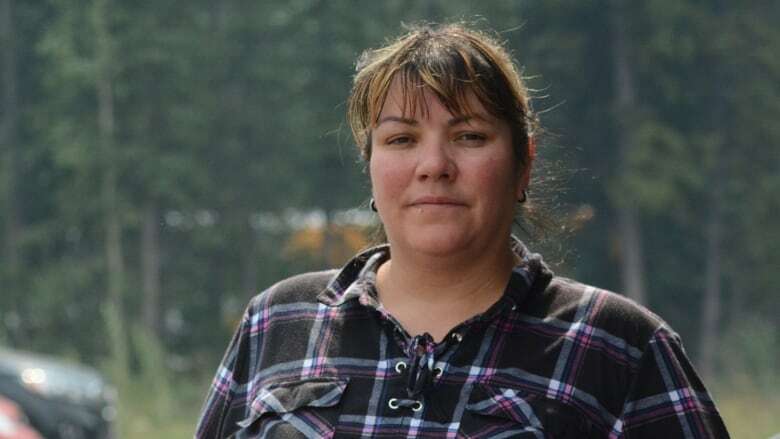 When wildfire smoke began rolling into Dease Lake, B.C., and breathing became more difficult, Dawn Loverin packed up her grandchildren and her mother and drove them north to Whitehorse. She returned home to a scary scene Tuesday night. "We didn't know what we were coming home to because there was so much smoke in the mountain valley," said Loverin, known as D.J. to her friends. "It was quite intense — kind of felt like we were coming back to a battleground." 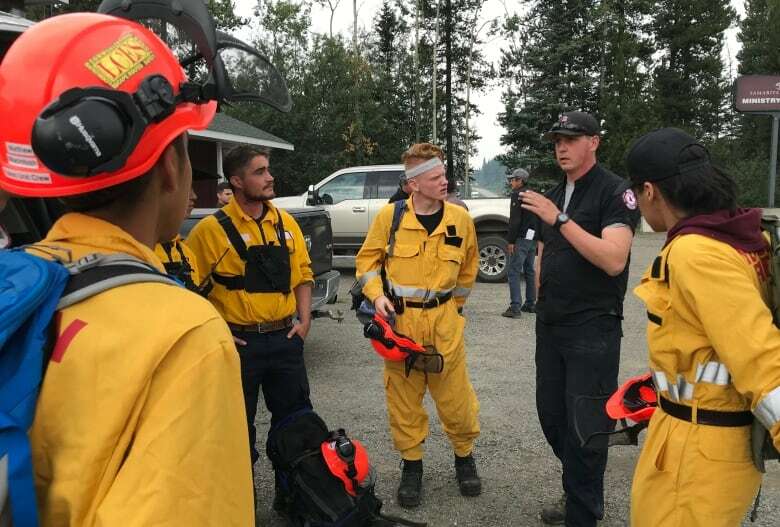 In recent days, the tiny town of Dease Lake has opened its doors to evacuees from nearby Telegraph Creek, recently ravaged by the aggressive Alkali Lake wildfire. Despite the smoke, Dease Lake isn't in any immediate danger from the 90-square-kilometre wildfire, burning about 75 kilometres to the southwest, or the massive 190-square-kilometre South Stikine River fire, still nearly 50 kilometres away. But Telegraph Creek hasn't been so lucky. Officials say 27 buildings were destroyed when the fire swept through on Tuesday. The two communities are in the heart of Tahltan Nation territory in northwestern B.C., where many are watching with unease as South Stikine River and Alkali Lake fires look ready to merge. Most elders and children have already had to leave Dease Lake to escape the smoke. For Loverin, who's lived in the area for 40 years, the current reality is hard to fathom. "Telegraph Creek is basically the capital of our Tahltan territory and that's where we're all from. That's where my mom was raised and her family and everybody's family was raised. It's hard to know that what we call God's country is being scorched right now," she said. But in the face of this crisis, the Tahltan people and other members of these remote communities have come together to make sure everyone is safe, sheltered and well fed. Volunteer Gerri Cook said people have been donating food, clothing, laundry detergent and even appliances, and pitching in to cook meals and support the evacuees. 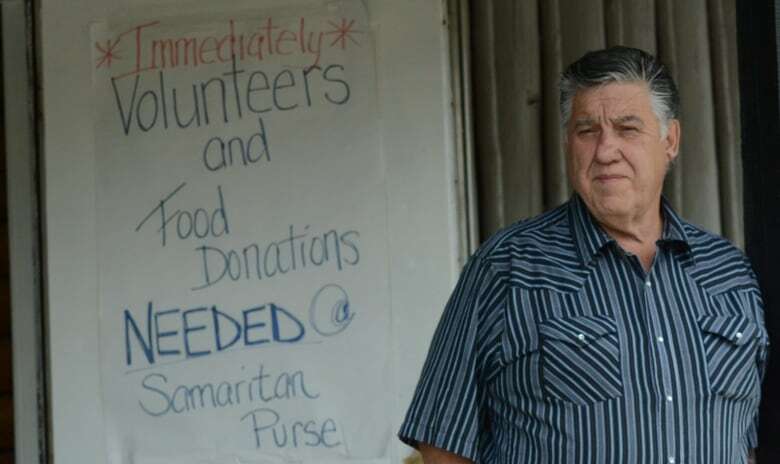 "This disaster has actually brought the people a lot closer together, and it is amazing how people are working so closely together to help each other out through this hard time," Cook said. Some of that help comes from the northern edges of Tahltan territory, in Yukon. A trailer full of donations left Whitehorse bound for Dease Lake on Tuesday afternoon. Firefighters with Yukon First Nations Fire have also spent the last few days in Dease Lake, waiting to be called to the front lines. Commanding officer Chad Thomas, who is Tahltan, said he was impressed by how everyone in town is welcoming the evacuees. "There's a really strong sense of community with everybody," he said. "It's a testament to how the Tahltan people are in general and also the community members of Dease Lake." But some worry that the destruction wrought by the wildfires will leave a hole in their communities. Bill McPhee was forced to leave his ranch north of Telegraph Creek as the Alkali Lake fire rolled in, and says he was lucky to get out alive. His home is still standing, but neighbours weren't so lucky. "I heard that a lot of people left last night, they're on their way to Terrace," as well as Smithers and Whitehorse, McPhee said. "From what I heard, a lot of people are going to relocate down there, because there's no more housing."